Heinkel USA is the exclusive representative for FAMAT in the USA, providing Sales, Service and Spare Parts. 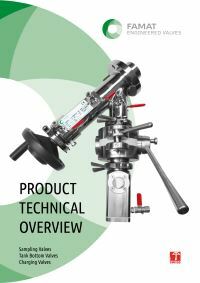 FAMAT, founded in 1974, specializes in the manufacture of product Sample Taking Devices used throughout many industries and applications to include: Waterworks, Power Generation, Petrochemical, Oil and Gas, Pharmaceuticals, Biotechnological, Chemicals, Nuclear Industry, Food and Beverages. 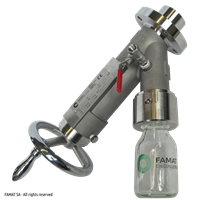 The FAMAT Sample Taking Devices incorporate cutting edge technology which enables the Sample Taking Devices to collect product samples while a process is operating under Full Vacuum or Pressure without having to stop the process to collect the sample. 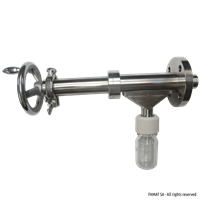 These Sample Taking Devices also are available in different levels of automation and from Low to extremely High levels of containment of the sampled product. 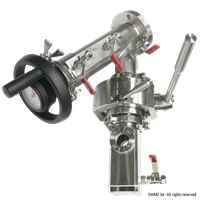 In addition to Sample Taking, these devices can also be supplied as tank/vessel bottom Outlet valves, or tank/vessel Inlet charging valves. For more information about FAMAT please visit their website www.famat.com.